Xiaomi had a great year business-wise. This Chinese smartphone manufacturer will sell over 60 million handsets this year, which is 41 million more than last year when the company moved “only” 19 million units. Xiaomi is really turning into a heavyweight smartphone manufacturer, and it shows, we’re talking about third biggest smartphone OEM in the world and number one vendor in China, where company still does most of its endeavors. Xiaomi is planning to expand its business to other parts of the world though, Latin America, India, South-East Asia and Russia are being aimed by Xiaomi, it will certainly be interesting to see will things work out for Xiaomi in the coming years. 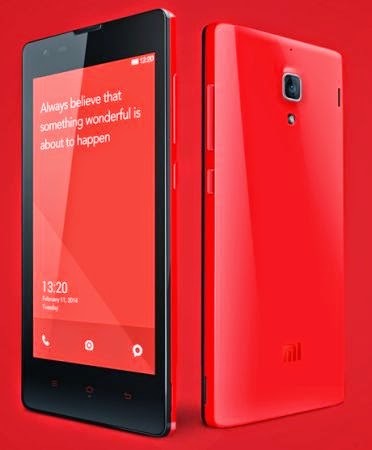 Mi4 is Xiaomi’s current flagship and it’s a great device, no doubt. This smartphone packs so much power inside and is extremely well-built and yet extremely affordable, especially in China. It seems like Xiaomi plans to push boundaries yet again with their Mi5 handset. According to the latest report from the industry analyst, Sun Changxu, Mi5 is already being developed and the device will probably feature Qualcomm’s Snapdragon 810 quad-core processor which comes with an Adreno 430 GPU for graphics rendering. The device will sport a 5.7-inch Quad HD display, according to this report, and we’ll also get a fingerprint scanner along with the device. The best part? Well, this report says that the device might cost only 1,999 Yuan ($326), which is kind of insane and hard to believe considering the specifications. If someone can deliver such specs for such a low price, it’s Xiaomi. This is actually the current price of the Mi4 in China, I believe, so… it will be interesting to see how accurate is this rumors. If Xiaomi manages to pull this off, it will definitely shake up the mobile industry yet again, especially if he expansion plans go through as planned. Meizu is yet another Chinese OEM which is pulling all the right moves lately, the company has recently announced Meizu MX4 Pro which also packs great specs on the inside and costs only 2,499 Yuan ($407) in China. Meizu and Xiaomi will most definitely try to trump one another next year, let’s see which company comes out on top.